I have been asked about that question often. For me, it is easy to answer because the Poas Volcano is the Sunday trip that locals do since as children—at least, my mom loved to do it by bus. (You will see a lot of families doing picnics in the surrounding areas). However, I found there are details that you start to forget over time, and since the bus schedules change in Costa Rica, I decided to do this blog to provide some updated information, taking advantage of my last visit to the volcano.I decided to base the blog on the experience that our friends Kimia and Kirsten did with us. Some other questions that I’ve been getting: How safe/easy is it to go on a self-arranged trip to “Volcán Poas”? What’s the frequency of the buses to the volcano and back? I will try to answer through this blog. Let´s do a quick review of the Poas Volcano!!! 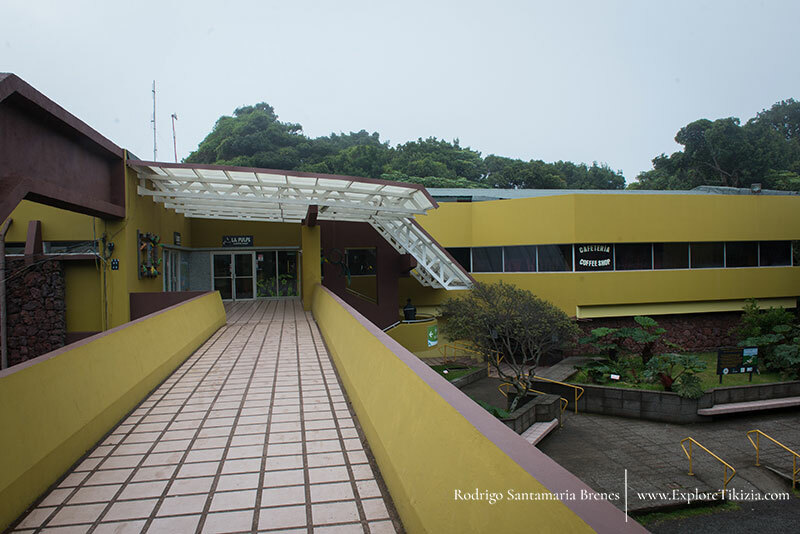 From San José, take the Pan American Highway west to Alajuela, across the highway from the airport. You will come into town on Calle 2. Follow this all the way through town and it becomes route 130 to Itiquis and Fraijanes, with signs for the National Park. If you are uncertain, ask before you leave Alajuela. Once you are on the right road out of town, it takes you directly to the park. From San Ramón, take the Panamerican Highway that goes to Alajuela. After 20 minutes on the left side, you will see the intersection to Naranjo. Go toward downtown and in the other intersection, take to the right and drive through the old route that goes to Grecia. You will pass through Sarchi, which will be a great place stop to visit souvenir shops. In Grecia downtown, you will see the exit to go to Poas. Follow the signs that will take you to Poasito. If you are uncertain, ask before you leave Poasito. Once you are on the right road out of town, it takes you directly to the park. Go to TUASA Bus station, across from “Parque La Merced.” We recommend using google maps and searching the name of the bus station (TUASA). The bus leaves at 8:30 am from the bus station and takes you to the Poas Volcano. Traveling in Costa Rica can be tricky, so we recommend asking someone who works at the bus station to show you the bus that leaves to the Poas Volcano. Also, take into consideration that the bus will stop to pick up more people, so the ride may take 1.5 – 2 hours. Extra time to get in line is highly recommended if you want to get seats. Go to Empresarios Unidos Bus station (Bus stop to San José). Take the indirect bus that goes to Alajuela. Usually, you pay your bus fare directly to the driver. You will get off at the airport. Make sure you tell the driver in case you are the only one getting off there (this is rare, but it’s better be safe because sometimes the driver skips the airport stop). At this point, there are two ways to do it: Take a bus that is going to Alajuela downtown or pay a taxi to take you to Parada Buses Volcán Poas. The bus leaves from Alajuela at 9:15 am. Yes, the bus ride is safe. The bus going to Poás is fill with almost all tourists from the U.S., Canada and Europe, and then you’re with the same people going back. It would be just fine going alone! The Poas Volcano is protected under the category of National Park, and is the most visited volcano of Costa Rica. The altitude is 2,708 meters above the level sea. There are many fumaroles to observe, which shows the consistent activity of the volcano. The volcano is very active—it had an eruption just the day after we visited. Distance of the trails: They have a trail to the crater that is 1 km. It is pretty easy to get to the crater. For handicap and elderly people, the Red Cross provides a service to take them and bring them back to the information center. Botos Lagoon Trail (Open until further notice): Takes about 30 minutes to hike and measures 2,640 ft. in length. You will appreciate the cloud forest, where a great variety of plants species can be found. Also, the lagoon is an old crater measuring 46 ft deep and 1,312 ft in diameter providing crystal-clear, cold water to the park. Escalonia Trail: This is a 1,700-ft-long trail that takes 20 minutes to hike and will take you to the heart of the forest. The squirrels (they are not scared of humans anymore, but please don´t feed them), birds plus the Poor Man´s Umbrella are part of the majestic forest itself. The volcano is now under maintenance, so that is why we couldn’t walk to Botos Lagoon. They are doing more sightseeing spots to see the volcano plus working on the trail to “Laguna Botos.” Also, the picnic area is going to be remodeled. We have been told that they are planning to build an auditorium in front of the lagoon. The jobs started at the beginning of 2016 and they are planning to finish at beginning of August or September when they plan the inauguration of the jobs. This is great because the Poas Volcano is one of the most-visited places by locals and tourists. *If you are a student, show you ID. It is not guarantee, but it could help to get a discount. Parking lot: Yes. The cost for the parking lot is 1,500 colones ($3). How did this place inspire us? But in the end, we realized that instead of getting frustrated, we just had to decide to think out of the box. That way, we enjoyed the hike even though it was foggy, cloudy and rainy. We laughed at a sign that says “if you didn’t see the volcano, at least you experienced how a bird feels flying the mountains on the clouds.” Very optimistic way to see things! Made our day after our rainy/foggy morning!!! We had to go back after we realized we left something at the park, so we got to see the volcano at the end of the day. Our friend Kirsten was really surprised how close the volcano was where before there were just clouds. So go with no expectations, because you might see or not, but just the attitude will define your experience! The vegetation is beautiful. Kirsten describes it as a magic forest! The views of the central valley when you are close to the top. The sloth that is usually hanging on the electric cables before you get to the volcano. The restaurants that sell a delicious shake made with fresh strawberries from the area. Go in the morning so there is more chance to observe the volcano. Don´t drink the water. It is not potable. Watch out for your belongings!!!!! If you lose something, you can ask the administrator’s office at the information center. Usually honest people turn things back in there. There’s no guarantee, but just in case! Respect the signs for your safety. Someone got lost once in the area. Use sunscreen because it is easier to get burned by the sun at higher altitudes.